Ed Asner celebrated his 89th birthday with a benefit to help the autistic and special needs communities, fulfilling his passionate commitment. Joining him were 500 celebrities, industry influencers and autism advocates attending the Ed Asner Family Center first annual A NIGHT OF DREAMS Gala, a night of music and philanthropy to raise funds to help families affected by Autism, Down Syndrome and other special needs, on November 15, 2018 at the Exchange LA Downtown. Hosted by Emmy-winning comedian Wanda Sykes, this enthusiastic evening’s headline attraction was a special set by Grammy Award-winning music legend Peter Frampton along with a performance by Naia Izumi, NPR’s 2018 Tiny Desk Contest Winner, raising over $250,000. 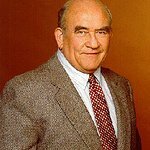 “Lets fight for our children to shine the way they are meant to shine,” said legendary Emmy-winning actor Ed Asner as he received a DreamMaker Award, presented by actor Michael Shannon (Midnight Special, The Shape of Water, Nocturnal Animals). 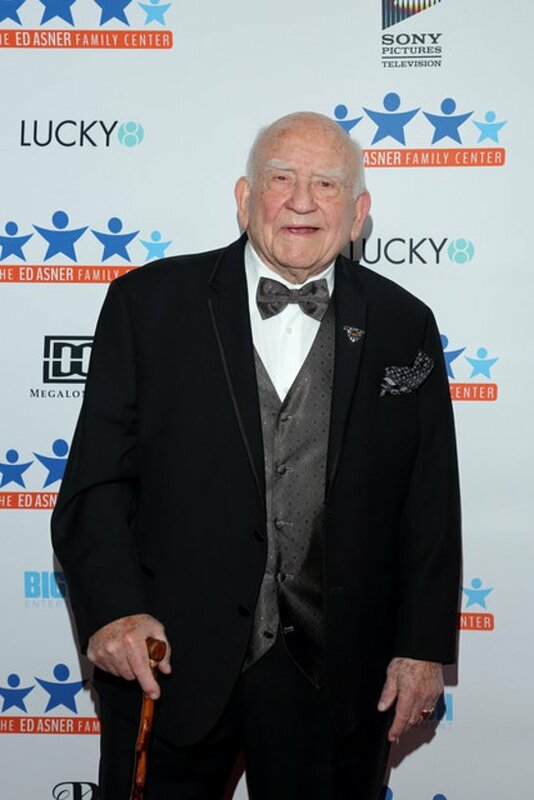 The evening spotlighted Asner’s tireless efforts to create The Ed Asner Family Center founded by his son Matt and daughter-in-law Navah Paskowitz-Asner. A longtime advocate for those on the autistic spectrum, Asner personally understands the challenges that Special Needs families face with his own autistic son and grandson, and the healing power of a creative, loving environment. World renowned celebrity chef Art Smith received his DreamMaker Award from presenter Emmy-nominated Actress Angela Bassett (Black Panther, American Horror Story, Master of None). Smith, best known as Oprah’s chef for over 20 years and for his restaurants including Artbird, Homecomin’ and Southern Art, accepted the DreamMaker Award for his charitable contributions and commitment to children. He is the founder of Common Thread, a non-profit organization teaching low-income families to cook wholesome and affordable meals for over 12 years. It has morphed into a free healthy cooking program that has reached over 125,000 children. In addition, Smith and his talented team will be showcasing their signature recipes as the chef of A Night of Dreams Gala preparing the menu and delicacies for the evening. Emmy-winner Elaine Frontain-Bryant, Executive Vice President and Head of Programming for A&E Network, was also bestowed with a DreamMaker Award, presented by producer Jonathan Murray (Project Runway, Born This Way). She is a champion of an inclusive Hollywood. Her work on Born This Way and other A&E series that feature differently abled individuals deserves to be recognized. Under Frontain-Bryant, A&E has developed a critically acclaimed nonfiction programming slate, garnering back-to-back Emmy Awards. Frontain-Bryant launched the 2017 Emmy Award winner Leah Remini: Scientology and the Aftermath, and the 2016 Emmy Award winner and recipient of a Television Academy Honors, Born This Way. The evening kicked off with Chef Art Smith preparing his famous fried chicken and hummingbird cake dinner family style for the main floor guests. Joan’s on Third provided delicious platters for the mezzanine seating. The program also offered an exclusive silent and live auction, as well as a spirited “Fund-A-Mission” auction where guests had the opportunity to support special The Ed Asner Family Center initiatives including summer camp for kids with autism and other programs for the community. Jill Creter-Harte gave a heartfelt description of parenting her autistic daughter Spencer, who found her special voice singing opera. Comic book artist Amy Faigin gave a moving description of her life with autism. The gala was produced by Kayleigh Millet, Vice President of Marketing and Events for the center. The Ed Asner Family Center is dedicated to promoting self-confidence in differently “abled” individuals, bringing balance and wellness to them and their families. The Center not only caters to the needs of the special child but aims to engage the whole family in order to help them face their unique challenges. For Information The Ed Asner Family Center, contact Navah Paskowitz-Asner Navah@edasnerfamilycenter.org. A Night of Dreams Gala is generously sponsored by Plush Beds, Megalo Media, Big Fish Media, Lucky 8 TV, Ireland Family Foundation, Sony Pictures Entertainment, OrigProd, Netflix, CBS, Renegade, IPC Television LLC, Newman Aaronson and Vanaman, Sprouts, Wolcott Architects and Haworth. In-Kind sponsors include Gibson Foundation, Sprouts, Oro Imperial Tequila, Southwest Airlines, Toki Doki, Cobrum Estates Olive Oil, Custom Comforts Mattress, Braemar Country Club, Glorious Pies, Retrove Skin Care and Lavender Blue.